A condiment to your starter or main-course dishes. Add a unique flavour in every bite. Ready in 2 easy steps. Chop Coriander Leaves, Mint Leaves, Chillies, Garlic Cloves and Ginger. Grind all the chopped ingredients with 2 tablespoons of water and salt to a paste. If the chutney is too thick then add a little more water. Check salt, add if required and grind for a few seconds. Squeeze lemon in the chutney and give a nice stir. 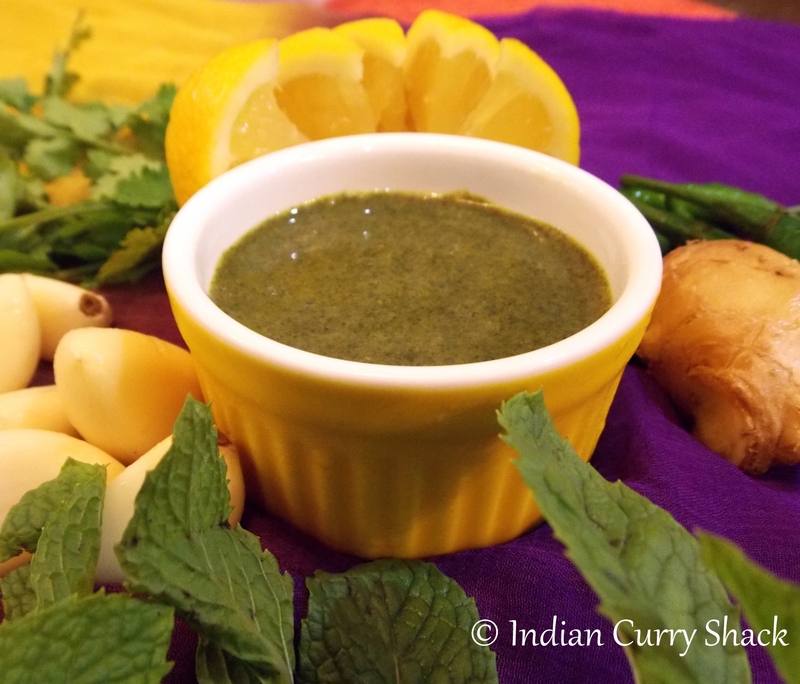 Your tasty Mint & Coriander chutney is ready. Serve it as a condiment to snacks/starters. It goes extremely well with Tandoori/Roasted dishes. It adds a unique flavour when used as a spread while making sandwiches too. [PS: This chutney can be stored in a refrigerator easily for 4-5 days and had along side any main-course or starter dish.